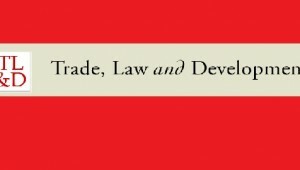 Trade, Law and Development is now inviting unpublished manuscripts for publication in Vol. 11 No. 1 of the Journal (Summer ’19 Issue) in the form of Articles, Notes, Comments and Book Reviews. Submission Guidelines and the full call can be found on the website. The submission deadline is February 15, 2019.